Why is it O.K. for Facebook to force users to watch ads? Facebook announced recently that it’s forcing users to watch ads even if they have ad-blockers installed in their web browsers by disabling the blocking. The social media giant is stirring controversy by saying that it will serve ads to Facebook.com users with ad-blockers turned on. 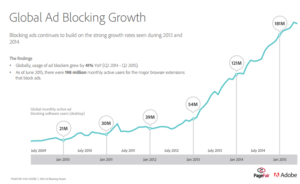 It’s estimated that about 20% of U.S. web browser users have added an ad-blocker to their browsers. That’s starting to look like a lot of lost revenue. Even with this recent announcement, there is some Facebook advertising technology people can– and still should– block, which Facebook can’t really do anything about. The heart of what is concerning about the data that Facebook is secretly gathering about our browsing behavior is extremely confusing. It is hidden in the differences between a bunch of overly-complicated advertising technologies and terms like first-party, third-party, tracking, re-targeting, fingerprinting, etc. Tracker blockers (like Ghostery and Blur) are designed to try and block third-party tracking (though they also end up blocking ads). 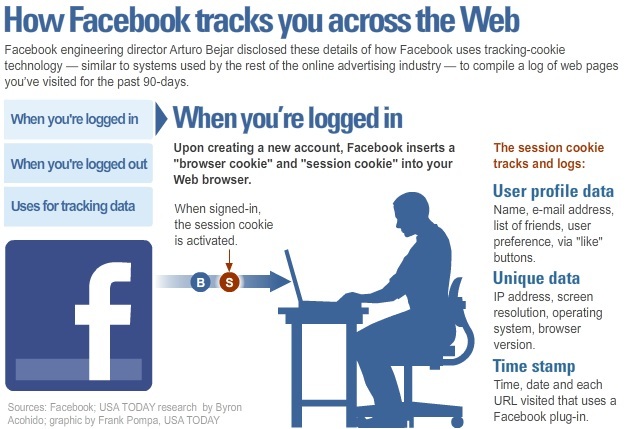 It’s not even close to perfect, but the tracker blocker ideal is sites like Facebook could advertise their own ad inventory when you are on Facebook.com but not collect and use data about your web browsing history collected about you when you visit other sites. (e.g. hidden tracking companies following you around from site to site). At Abine, we agree that Facebook, using its own information and ad inventory, has every right to target you and every right to evade consumers ad-blocking technologies when on Facebook.com. 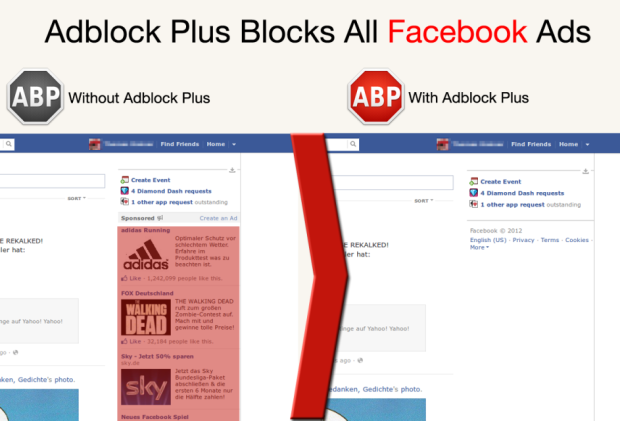 Using an ad-blocker or tracker blocker will stop Facebook from tracking you across other web sites, and make it harder for them to work with the third party advertising technologies collecting data about people in secret about their web browsing. Abine’s Blur, designed to add better protection for Passwords, Payments, and Privacy to all popular web browsers, actively blocks trackers (and some tracker-based ads) as part of protecting people’s privacy.